Yes, this is all ONE unit!!! Can you believe that this is all one unit? This was a fun pilot project the team at Gilmar Crane Service had the pleasure of piloting. This unit is 18′ wide 220′ long and it was a trek we made up Northern Alberta. Do you have a large load that needs hauled and piloted? Be sure to contact us for competitive pricing. 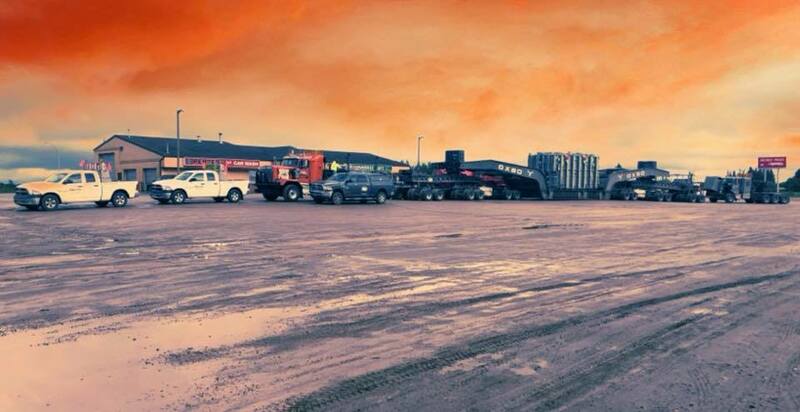 We haul it all.